What can we say? 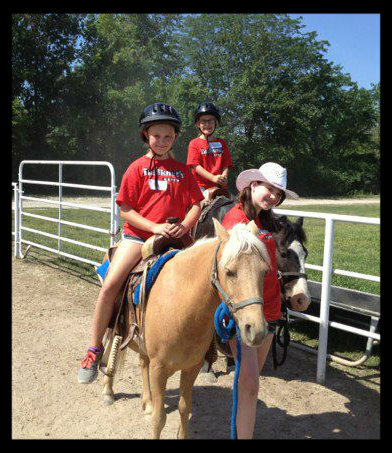 We are just so proud of our Pony Campers! It is a true delight to watch how they grow throughout the week. 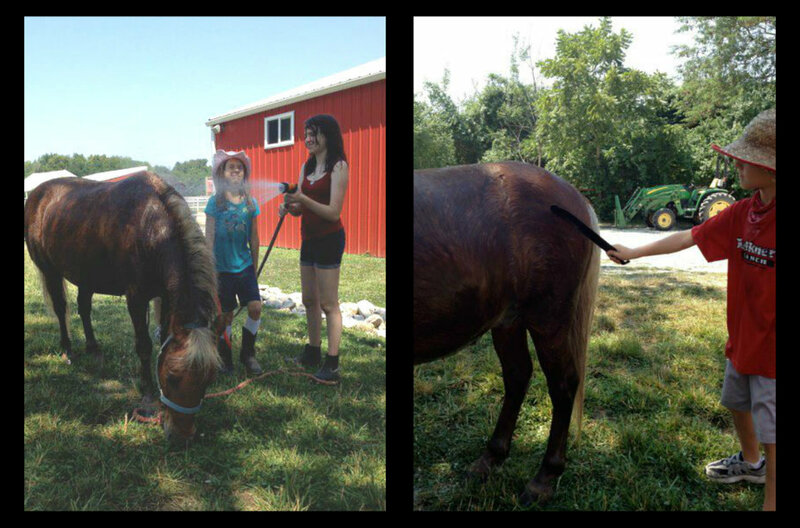 We love watching them build friendships and become more comfortable with the horses. 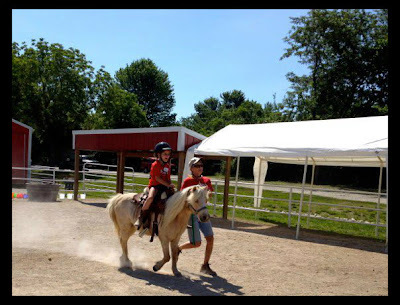 Plus, we are always so impressed with what they do at the end of camp Pony Show - they've got some serious skills. There's no denying it...Pony Camp is where it’s at! 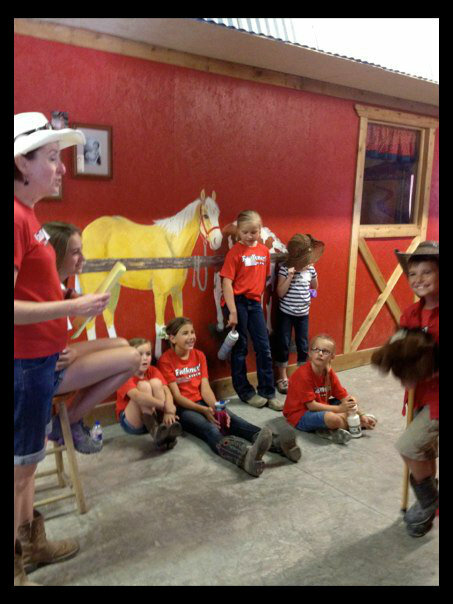 We had a lot of fantastic moments during this Pony Camp Season. 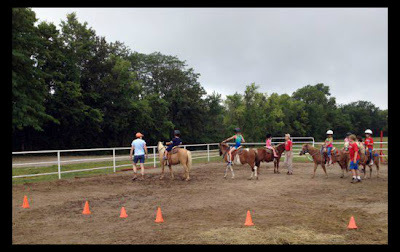 To get into the Olympic spirit this year, Sarah, our college intern, added a new group of activities to Pony Camp known as the Pony Camp Olympics. Complete with an opening ceremony, seven different events, and a closing ceremony, the campers waved their flags and tried their hardest to win gold! 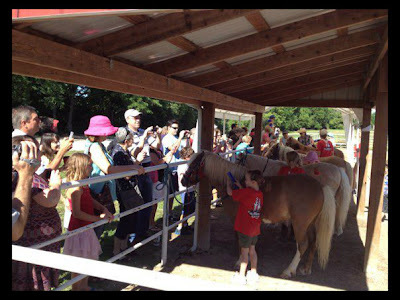 Pony campers bring show and tell items. 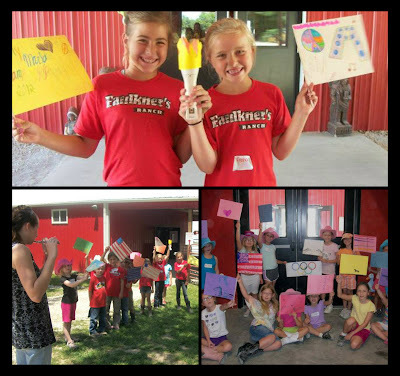 This camper had something to share that she should be really proud of. 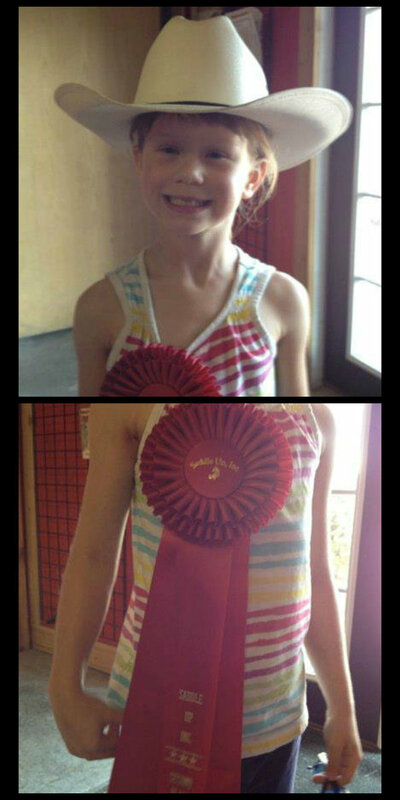 She competed in a horse show over the weekend and won 2nd place! Way to go!!! And check out the size of that ribbon! How awesome is that? This year our ponies got the royal treatment at the Pony Camp Beauty Salon as campers learned all about how to care for their ponies. Check out these awesome hairdos! 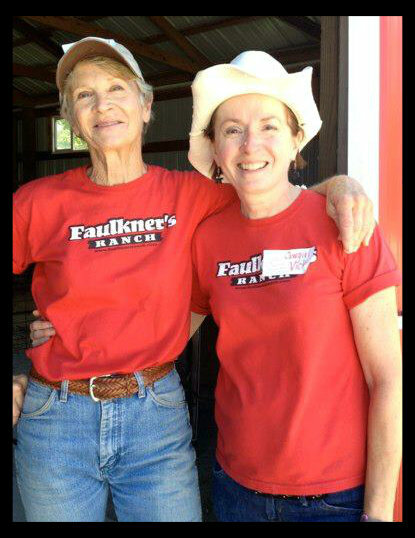 Lookin' good gals! This next picture is really cool. Campers learned how to do quarter marks. 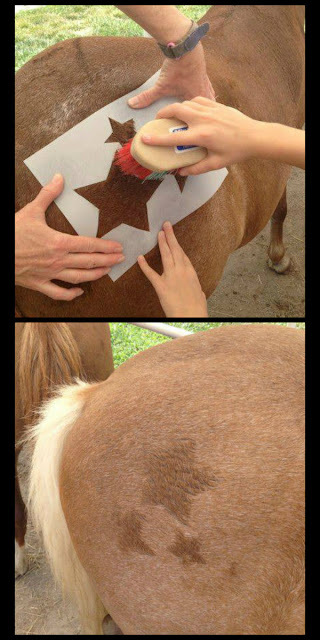 Quarter marks are a type of ornamentation on a horse seen in certain types of exhibition or competition. 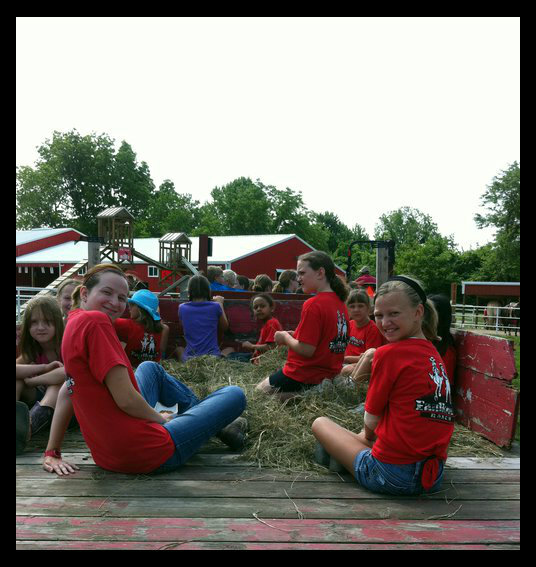 It wasn't until our fourth session of pony camp that we had our first loose tooth. 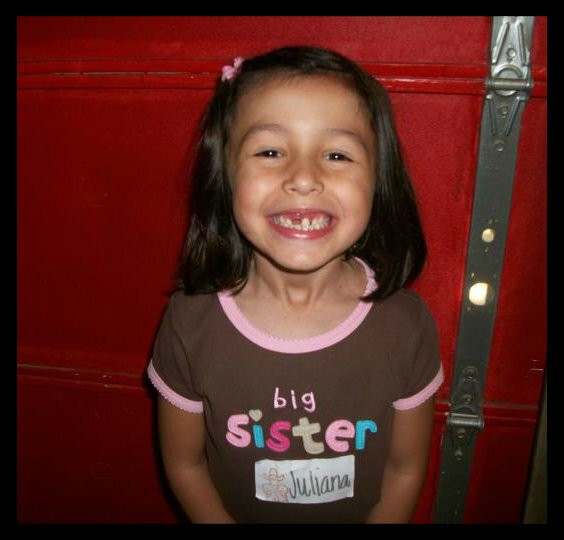 Miss Juliana lost one of her front teeth. She took the tooth home and got $1 from the Tooth Fairy. She told us that she was going to put it in her college fund! So much wisdom at five years old! We couldn't talk about Pony Camp without talking about our fantastic teachers. 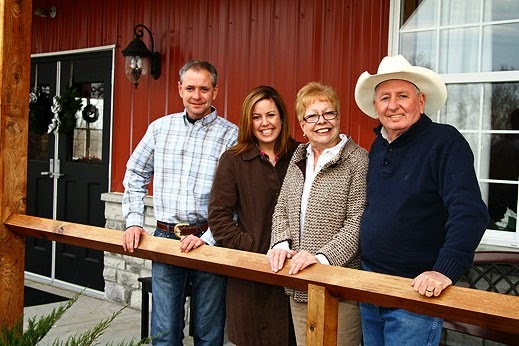 Pat and Vicki do such an amazing job. Plus we can't forget our college intern, Sarah. 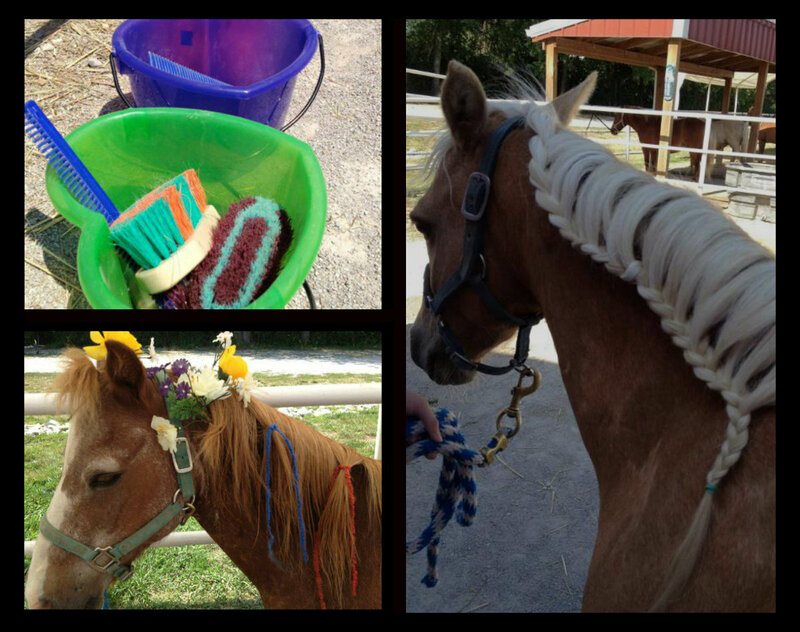 She is so creative! Sarah takes a ride with the pony campers on the last day of camp. 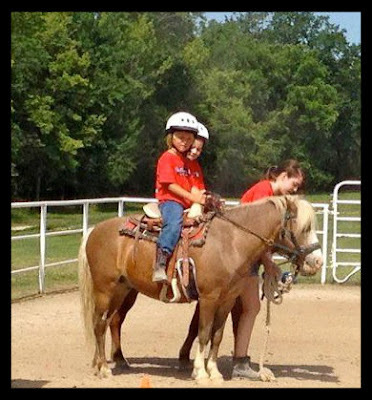 Fun Fact: Pat has been teaching the kiddos in our family (some who are now all grown up) how to ride horses for over 20 years. Pat stays beside a young camper as they practice trotting. 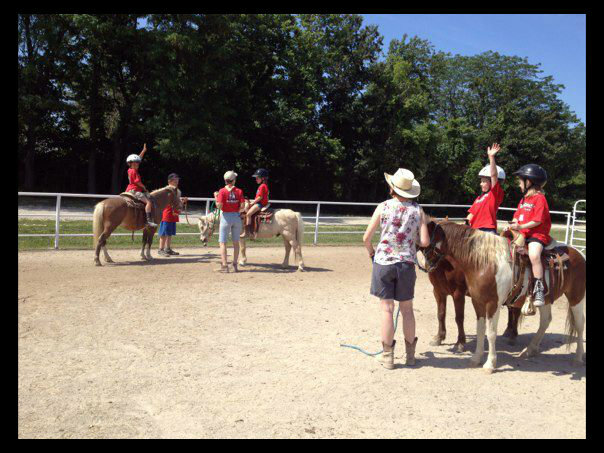 Pat and Vicki work with small groups of campers to practice their pony skills. Vicki leads one of the indoor pony games. The last day of camp is very special. 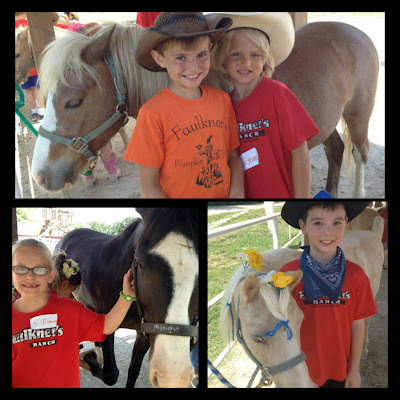 It is the day when all of the little cowboys and cowgirls can show off their new skills and knowledge to their family and friends. The campers put on a special performance followed by a demonstration of their new pony skills. 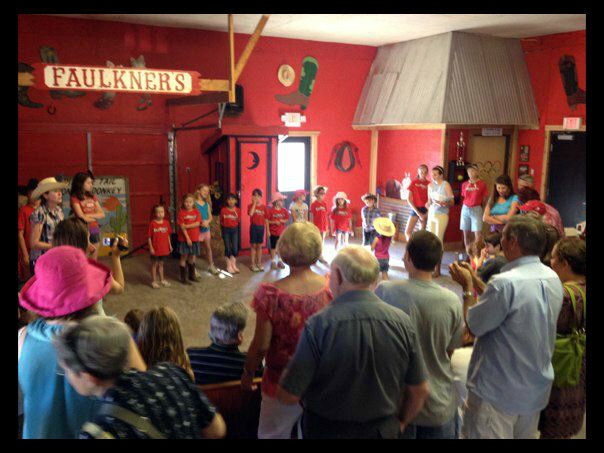 Speaking of that special performance on the last day of camp, check out the campers from session 4. Didn't they do an awesome job? Without a doubt, one of the biggest highlights this summer was watching the campers truly grow around the ponies. 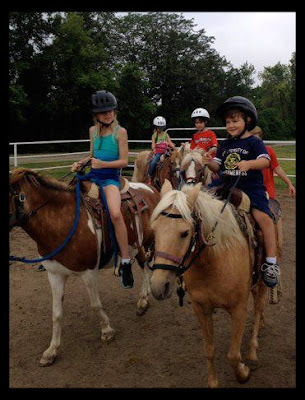 By the end of the week they are able to ride unassisted and even pick up some speed! 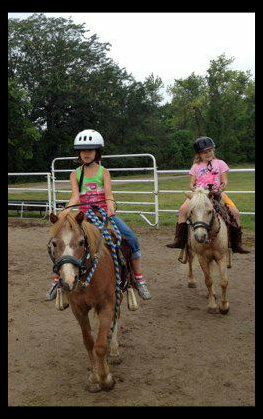 Pony Camp 2012 was such a great time here at the ranch. 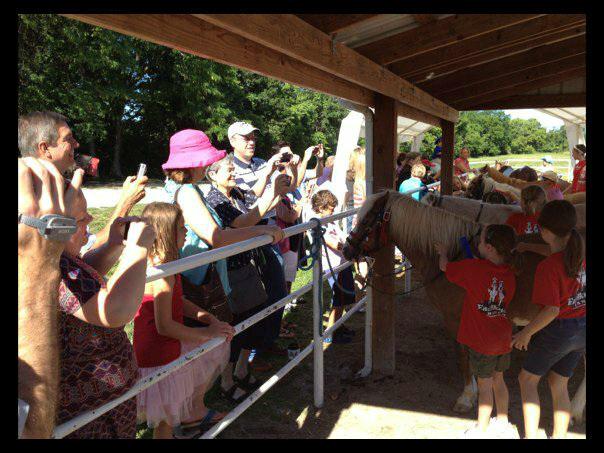 So great that spots are already filling up fast for Pony Camp 2013! If you’re interested in reserving a spot for your little cowboy or cowgirls please contact us at 816-761-1234.